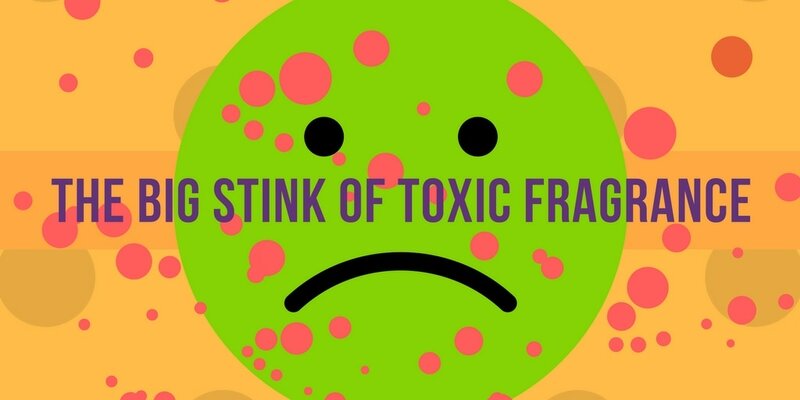 For some reason, people don't give the chemicals we breathe the same concern as the chemicals we consume in foods and beverages. This could have something to do with the massive amount of advertising aimed at convincing us to douse our homes, cars and bodies in 'nice' smelling chemicals (perfumes, colognes, air fresheners, scented candles, fabric softeners etc.). However, all those 'nice' smells are not so nice to our health. Here's a collection of sources of information to check if you want to have control over the type of air pollution that you can actually control. Scientific American - Are there toxic chemicals in our perfumes and colognes? Yes, there are also chemicals in soy candles. Fraud Prevention Month is March. In Canada, a good source of up-to-date information is the Little black book of Scams from Industry Canada. Keep yourself informed to prevent becoming one of the many thousands of victims of fraud each year; be sure to share tips with vulnerable friends and family members; and if you have children, remember to protect their personal information and documents. Beware of fake online job or rental postings. Does something seem too good to be true? Does it seems a super opportunity and you are rushing not to miss it? Again, put on the brakes, and double check that it is not a scam. Help any seniors you know avoid fraud by reading this 2015 Seniors' Toolkit (PDF). 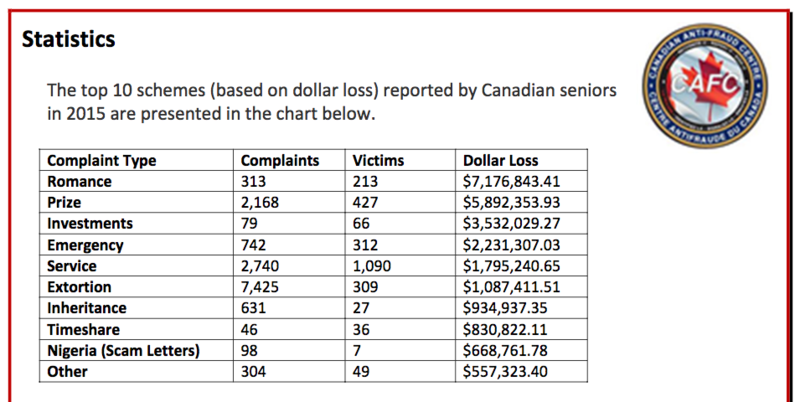 Here is a graph from the report showing the huge losses of Canadian seniors by fraud type. Even though music might be regarded as something frivolous, it has long been an intrinsic part of human culture. Starting from the time we are young children, some would even say within the womb, music has many benefits for our well-being. And there's increasing research showing the many benefits of having music in our lives. How music benefits children: Advocates of music in schools have collected research showing that music and playing musical instruments helps children's language development, memory, physical co-ordination, imagination, creativity, teamwork and self-confidence. It has also been said that playing music improves math skills, but on this point, research is inconclusive. 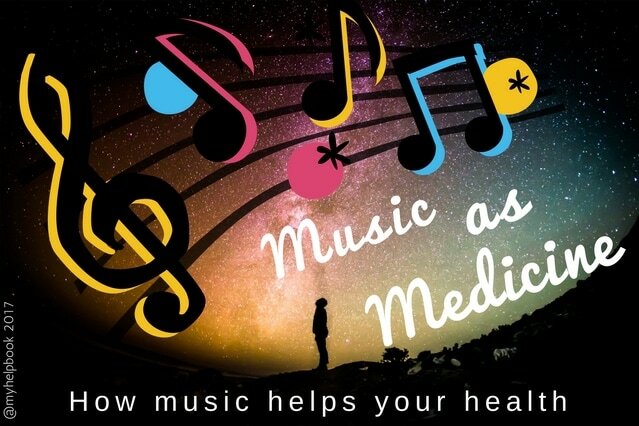 Music helps your brain: Playing a musical instrument has many beneficial effects, not just for children but for adults too: verbal memory, spacial reasoning, faster neural responses, and literacy skills are all enhanced by learning music. It has also been shown that music is helpful for people with Parkinson's and those recovering from strokes. How music benefits seniors: Music training is considered a possible effective way to protect brain function from cognitive decline but more research is needed. Other studies have shown that people even with severe Alzheimer's Disease "are able to learn and play novel songs". In First Nations and Indigenous communities, drumming has also been linked to health: "Results of the qualitative analysis show that the Aboriginal women’s involvement in hand-drumming circles has many health promoting benefits and builds on strengths already existent within their community." Music makes people of all ages happy, gives them relief if they are burdened by stress or sadness, and provides skills and accomplishments when learning to play a musical instrument. In short, music boosts health and well-being. Music is medicine, just not the kind that comes from the pharmacy. Research paper "Music as a Memory Enhancer in Patients with Alzheimer's Disease"
A new study of 2,072 Canadians aged 21 to 36 across Canada between July 6 and August 31, 2016 done by Environics’ Research shows that Canadian millennials have similar concerns to past generations of their age group (worried about financial security), seek better work/life balance, and, despite the stereotype of being apathetic, they do follow politics, current events, and are involved in causes. 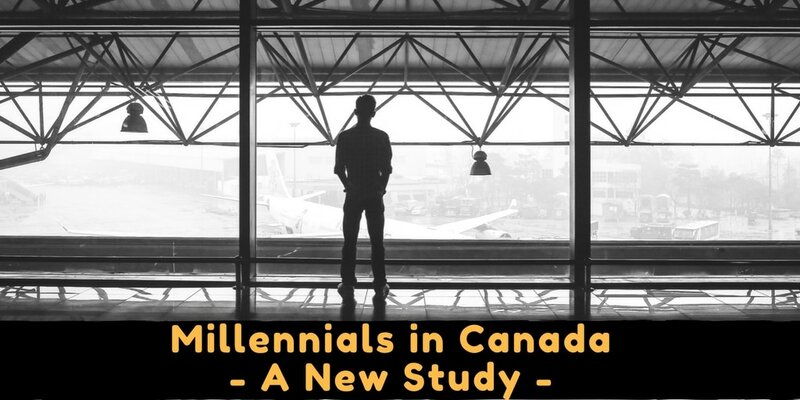 Bros & Brittanys (32% of Millennials): Avid risk-takers, seek excitement, enthusiastic consumers; work hard to get paid in order to pursue their chosen lifestyle; embrace technology and social connections. Diverse Strivers (20%): Priority to 'make it' and have material success; are driven in their careers and personal challenges; want to inspire respect in those closest to them; care about their appearance, latest gadgets and toys. Engaged Idealists (17%): Sociable, energetic, experience-seeking, idealistic; contribute to their relationships, careers and communities; believe that their actions matter and shape their lives and the world around them; they want interesting, meaningful careers that let them express themselves and their creativity; quality of their work experience is a higher priority than high pay; seek to have fun and a happy, balanced life. Lone Wolves (16%) Skeptical of authority, lack strong social and emotional connections, solitary, aim to keep life simple/straightforward; rarely involved in community events, low-key but not hostile, not aggressive or discriminatory. New Traditionalists (11%): Religion a big part of lives and identity; have conservative family and gender roles; value traditional etiquette, appropriate dress, manners, respect for elders, authority figures; strong sense of duty and identification with family roots. Critical Counterculturists (4%): Engaged and critical; sometimes build businesses or pursue groundbreaking online activism, progressive values (like Engaged Idealists) but place high value on rationality; reject status and authority if it's seen as illegitimate or superficial. The independent bookstore and resource centre Spartacus Books in Vancouver will be carrying My Opportunity and Help Book BC - Vancouver Edition 2017 as of February 14, 2017. They are located just off Commercial Drive. 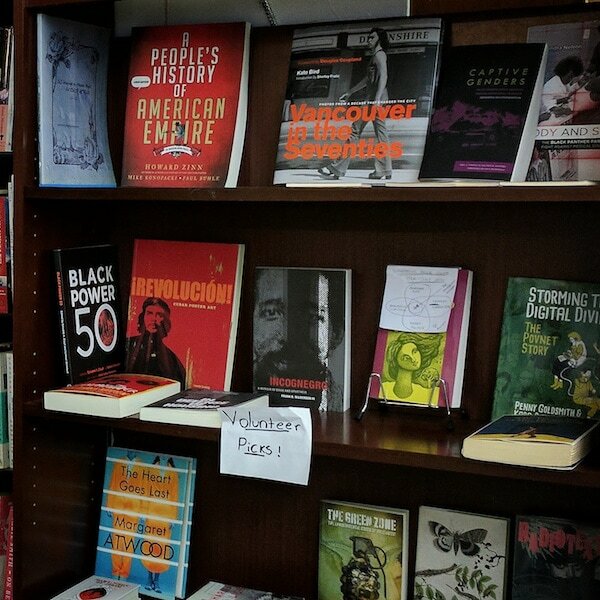 Be sure to check out their large selection of books on social justice, activism, critical-thinking, and more. They have been a collectively run volunteer bookstore offering books, media, events and opportunities for 40 years in Vancouver despite many dramatic set-backs and challenges. 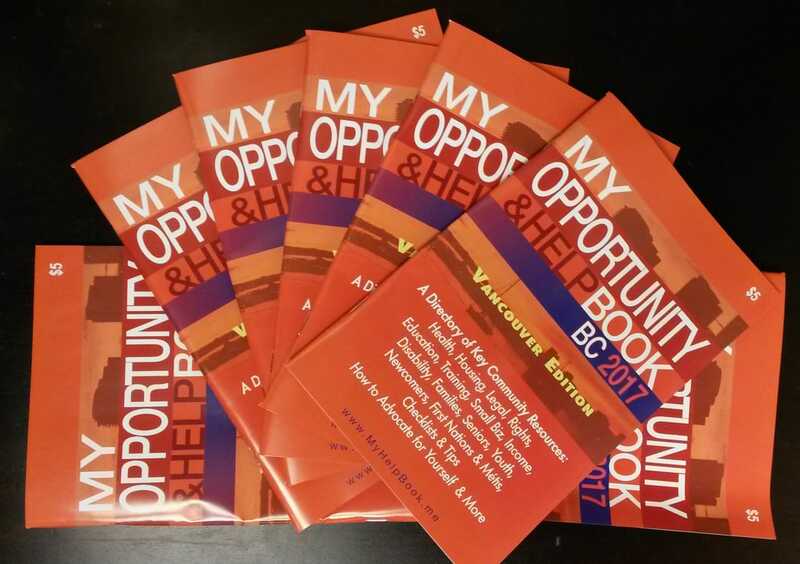 My Opportunity and Help Book BC - Vancouver Edition 2017 is now available. 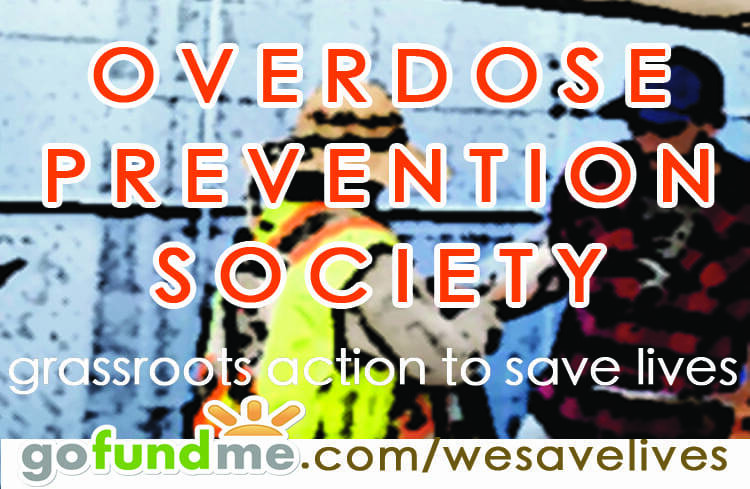 Discover life-changing community resources, new opportunities... or help with life's challenges. Organized by topic, the 1000+ listings cover every aspect of important community and government resources on a national, provincial and local level. Also included are bonus sections: a lost your ID checklist, moving checklist, fraud prevention tips, self-advocacy tips, information for visitors and more. Check here for locations where it is available. 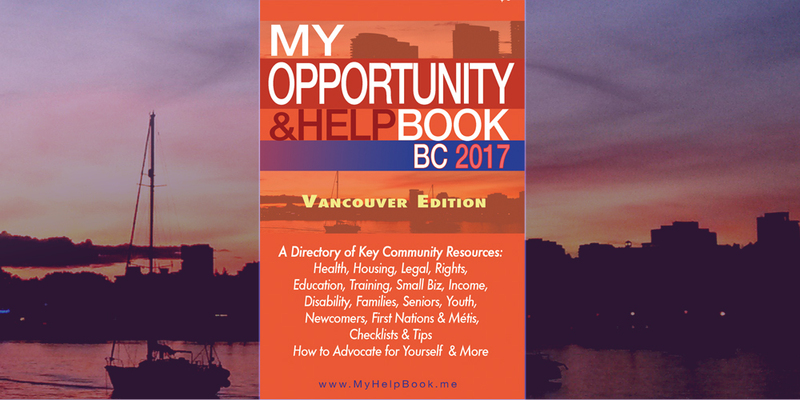 The Vancouver Edition of My Help Book BC (My Opportunity & Help Book) will be published in December 2016 and available in January 2017. In it you will discover key community resources in 1000+ listings (organized by topic) that cover every aspect of important community and government resources at the national, provincial and local level. Extra articles and checklists include: What to do if you’ve lost your ID, a moving checklist, fraud prevention tips, self-advocacy tips & more. Customize your copy: add emergency numbers page 5, important dates page 75, and use the blank lined end pages for additional personal entries. Check back in January 2017 to find where to get a free copy or purchase a copy. Online or app version coming soon. It is not uncommon to hear stories of people who have had their lives turned upside down because they unknowingly hired an unscrupulous mover. If you are planning to move and want to find a reliable mover with a great reputation and one that fits your budget, The Canadian Association of Movers (CAM) can help. They recommend that you do your research, learn about your rights and responsibilities, get in-home estimates and book your move early. Hire a reputable mover, one that you know. Check Consumer Protection BC, the Better Business Bureau and CAM before you contract a mover to ensure they are members in good standing. Read Industry Canada’s Consumer Checklist for Choosing a Moving Company on CAM’s website, www.mover.net. Get in-home estimates from movers as this is the only way to get an accurate estimate on your move and will alleviate cost disputes later on. Take the time to validate the mover’s reputation and their affiliations. Don’t make your decision based on the mover’s advertisement, verbal promises or slick website as these are no guarantee of professionalism. Beware of lowball quotes or movers offering to waive the tax. Low prices are often altered on moving day with additional fees and only a disreputable mover will avoid collecting tax. Get a written explanation of the mover’s liability for loss or damage while in transit. Rogue movers have vague contact information on their web site. If there is only a cell or toll-free number listed, avoid them. If it does list an address, take the time to drive by their facility to ensure they have a warehouse, trucks and equipment to service your move. Beware of movers who charge up front for a move. Reputable movers collect at time of delivery. Remember above all - always get promises and quotes in writing. Don’t accept a verbal agreement or over-the-phone estimate. A verbal commitment or promise is not binding and cannot be proven in a dispute. Contact CAM to help you find a reputable mover. As Canada’s moving industry association, CAM sets strict admission requirements for membership and monitors movers’ performance. Members must adhere to CAM’s code of ethics and commit to mediation in the likely event of a dispute. Visit www.mover.net for more information. Thank you to the Canadian Association of Movers for providing information for this post. ​Citizens for Accessible Neighbourhoods (CAN) works to support full inclusion within communities through education, promotion, and advocacy. Primarily serving BC, they strive to improve access to information for people with disabilities and those within their support systems by connecting people with appropriate resources, support and information and by acting as an advocate to answer people's questions. Over the past eleven years CAN has built up their website to become a go-to site for people with disabilities in BC. They maintain an extensive database of Adaptive Sport and Recreation resources listing with over 100 sports in 100 plus locations across British Columbia. Their amazing Word of Mouth page has a wealth of information and aims to keep people with disabilities informed about disability benefits, programs, tax breaks, funding, support services, travel and more. Their short disability awareness videos, available on their website, are used by organizations across BC to help train volunteers of programs for people with disabilities. CAN is funded through membership dues and donations and from their three core services: Disability Awareness Seminars, Accessibility Audits (creating and delivering), and Presentations. CAN invites people with disabilities in BC and their allies to join their Facebook page where they post information about, or for, people with disabilities in BC.